UZBEKISTAN will always have a special place in my heart. I have traveled to 11 countries till now but the warmth and the love that I received in Uzbekistan is unparalleled. I have so much to share and I really don’t know where to begin. Hmmm So, let’s begin from the beginning. I reached my Hostel and the guy at the reception desk asked for my passport and addressed me with my surname followed by Sa’ab (Hindi word for “Sir”). I smiled and before I could asked for the reason behind this, He explained that in numerous Bollywood films he saw, the characters with my surname are always referred to as “Sa’ab.” This was the first time I heard about Bollywood films from a Uzbek before it becomes a norm. 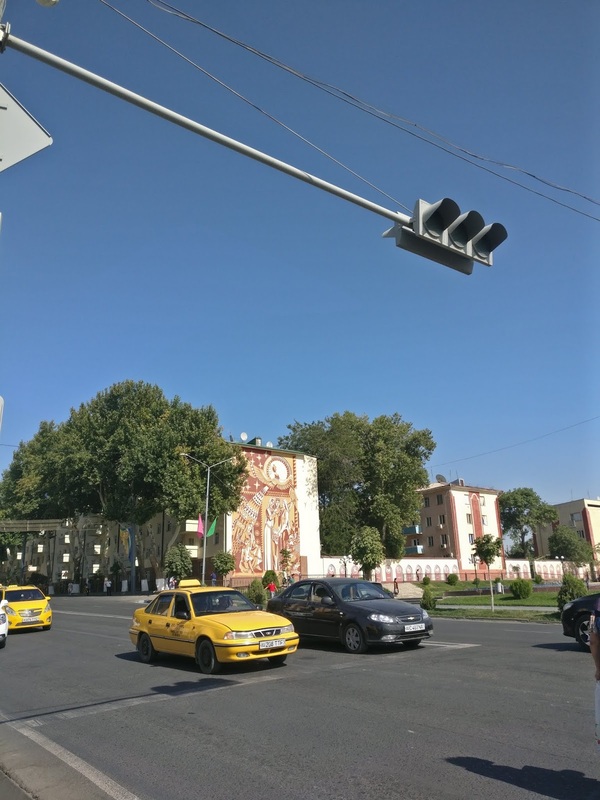 Almost every time I catch a taxi in Uzbekistan, the first words I hear from a taxi driver were either Jimmy Jimmy(Famous Hindi song from 80s) Or Raj Kapoor(Legendary Indian Actor/Filmmaker) after I told them I’m from India. It was an instant ice-breaker. Even though they don’t understand English, we communicate through actions, signs and Google translate which made me realise one don’t need common language to communicate but a connection. After few rides, I downloaded famous Raj Kapoor songs and the Jimmy Jimmy song on YouTube to entertain them. I met this huge Raj Kapoor fan. I played several Raj Kapoor songs for him during the ride. He was enjoying every bit of it. He asked me to translate the famous “Mera Joota Hai Japani” song and I did. Luckily, he understand little English. The expression on his face was priceless after learning the meaning of the song he used to listen as a kid. After reaching the destination he hugged me and bid me goodbye. Raj Kapoor and Jimmy Jimmy song is hugely popular in the region since Soviet Union Days. I met a taxi driver in Samarkand who is from Tajikistan. He smiled after seeing me and agreed upon whatever amount I suggested and let me in. Before I say something, he deduced “Hindiston?” (Another name for India). I replied “Yes.” He played a song and signalled me to listen to it. I was amazed to listen the song even though I couldn’t understand the language but still able to somehow understand the essence of the song thanks to few Hindi words I can make out. I find out it is a Tajik song. Tajik is a part of Indo-European language family. There are similar words in Hindi and Tajik. Then, I played Jimmy Jimmy song for him and upon seeing the video he exclaimed “Mithun!”(Famous Indian Actor in the song). He was singing the lyrics even before the video. We sang together till we arrive the destination. He took the money and give me half the money back but I refused to take it and leave it on the seat and bid him goodbye. After the encounter, I’m intruiged to visit Tajikistan. One day, I was wandering around when a policeman called me to sit with him. In my mind I was thinking, “Did I do something wrong?” but it turned out this guy is obsessed with Bollywood. He was sad due to the sudden demise of popular Bollywood actress “Sridevi.” When I asked him did he ever visited India. He said no and now he see no point of visiting since Sridevi is no more. Then, he opened his Bollywood videos collection. No, it was not a songs collection but a collection full of Bollywood gossips. He was adamant that Mithun married Sridevi in secret while showing me one of the YouTube videos. When I told him this is just a gossip not the truth, he refused to believe. He even thought of a plot behind Sridevi’s death which had all the makings of a bollywood script. I bid him adieu and wish him Good luck in solving the mystery! So, here’s the back story: Babur was the guy who came to India and established Mughal Empire which ruled most parts of India for more than 300 years. He was born in Andijan (present day Uzbekistan). Babur’s grandson was Akbar and Akbar’s grandson was Shah Jahan who built the Taj Mahal in the memory of his wife Mumtaz Mahal. Many locals I met were eager to convey the fact that babur came from Uzbekistan even though they don’t speak English. When I met a young guy, we conversed at a length about babur. He wanted to visit Taj Mahal one day and feel proud about it. He also enquired about the historical sites from Mughal era in India. Babur’s great-great-great-grandfather was Amir Timur. 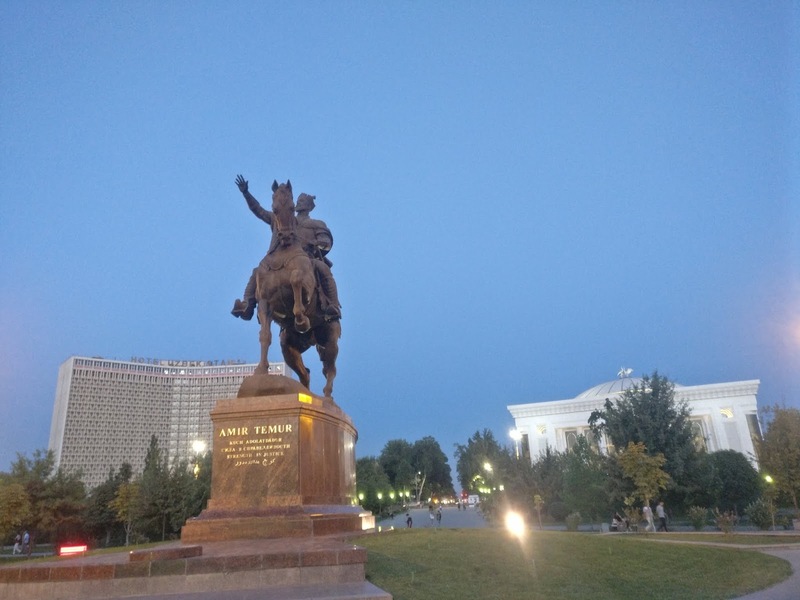 Amir Timur is a national hero in Uzbekistan. You will find many places and monuments named after him or associated with him. An Uzbek Mother-In-Law: After negotiating with the taxi driver for 2 good minutes, I boarded the shared taxi. I sat alongside two Uzbek women on the backseat. They were related as Daughter-In-law and Mother-In-law. Daughter-In-law knows little English while Mother-In-law don’t know a word of English but curious to know all about me. So, the curious one asked all the questions and the Daughter-In-law translated them to me and back to her mother-in-law. Upon knowing that I’m from India, she greeted me with “Namaste.” She was really happy with the fact that I’m solo traveling in her country. We talked about Uzbek and Indian Culture. Upon knowing that I’m single. She asked jokingly “Did I liked any Uzbek girl here?” and they both tried to convince me to marry a Uzbek girl. We had a good laugh together. When my stop arrived, the old woman affectionately stroke back of my head with her hand like a mother giving blessings to his son and bid me goodbye. I was so touched by her gesture. 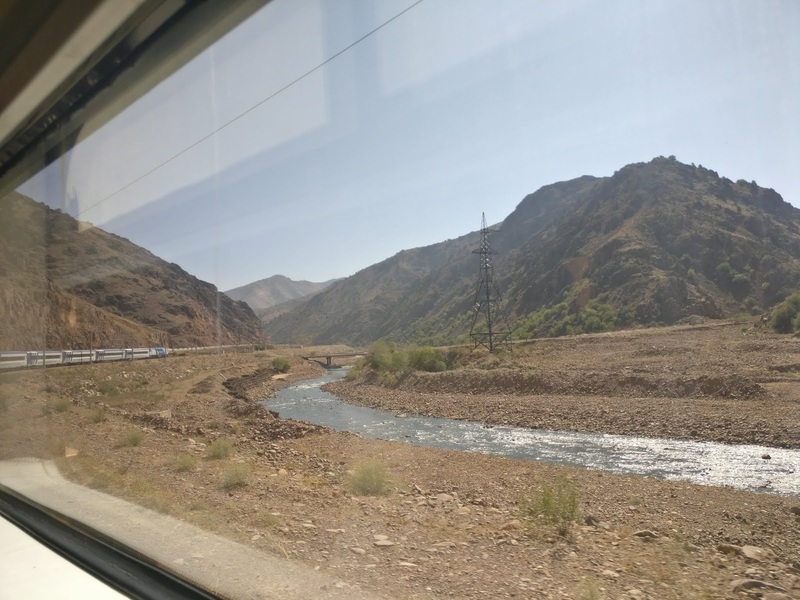 A Train Ticket Checker: I boarded an overnight train to Tashkent. A ticket checker came to check my ticket and asked for my passport. “India” he exclaimed! He said something in Uzbek and keep repeating it which I was unable to understand. 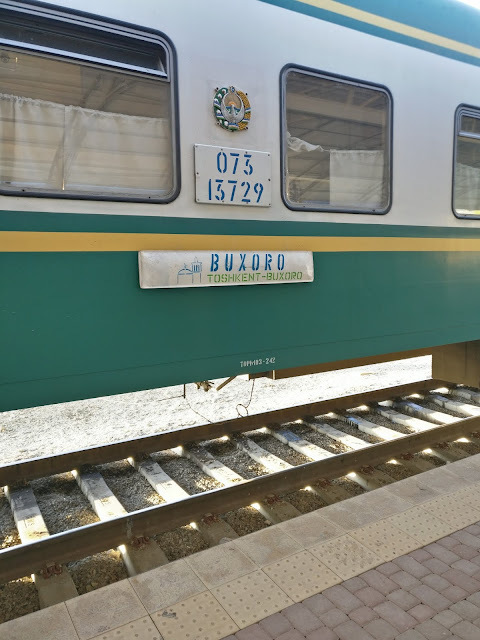 My co-passenger intervened and translated “He is asking for my partner’s ticket and passport” I responded with “I’m traveling solo.” After knowing that I’m traveling alone, he got curious and start asking me about my travels. Thanks to my co-passenger who patiently translated all the information back and forth. He was impressed with the fact that I know all about Babur and his connection with Uzbekistan. We bid each other goodnight and in the morning we had a chai together. Finally, My destination arrived. When I was leaving the train, I met him at the exit door of my coach. He helped me with the luggage and patted me on the back. It was so gentle like a father lovingly trying to motivate his son. I felt so blessed. We bid each other goodbye. I kept thinking how small acts of kindness and warmth left huge impressions on a person. It costs nothing to be nice to each other. It surely taught me a good lesson. 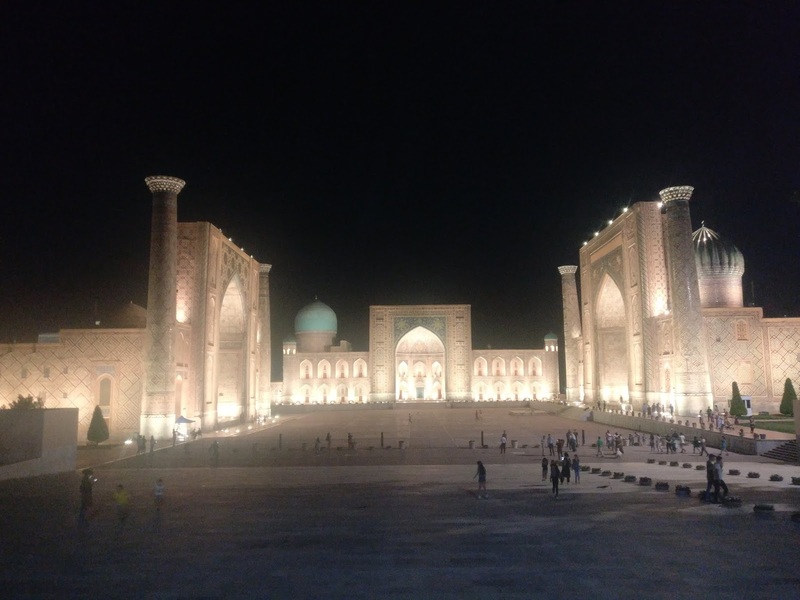 A Pakistani : It was my second night in Uzbekistan. I was standing on the roadside, waiting for a taxi. When a white car (which certainly don’t look like a taxi) stopped and a man lower down his window and asked “Kahaan se ho aap?” (Where are you from?) and I replied “India”. His smiled widened. He came out of his car and warmly shakes my hand. He said “Mujhe laga hi tha apna banda hai. Achcha lagta hai apne logon se milna.”(I knew it, you are from my region. Feels good to meet our people) He is living in Uzbekistan but originally from Karachi. He was in a hurry but still made a point to meet me. We graciously bid each other goodbye. Such a short encounter left a huge impression on me. My wish to visit Pakistan were more strengthened. 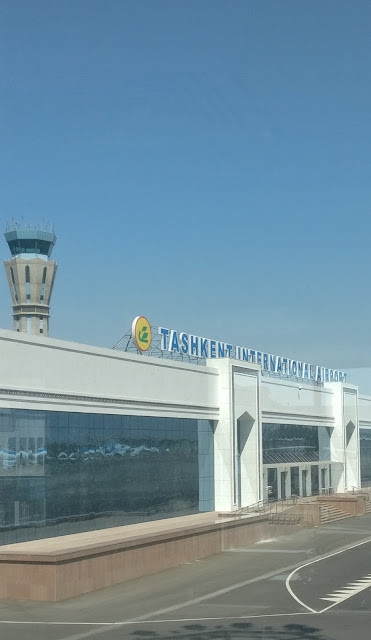 Before my trip to Uzbekistan, I have only heard of Tashkent and don’t even know that Tashkent is a capital of Uzbekistan. In case you’re wondering about how I heard of tashkent, Our second prime minister i.e. 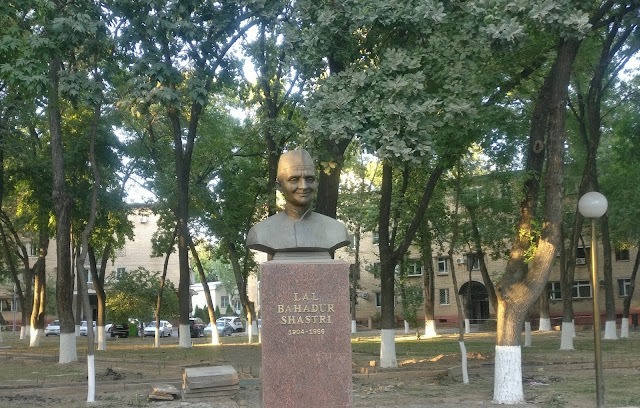 Lal Bahadur Shastri died in Tashkent during soviet union era in a mysterious circumstaces. I have read and see lots of consipracy theories in this regard. Now, there is a street named after him called “Shastri Street” on which his statue is constructed. The street is a famous landmark of the city. In terms of food, Shashlik is pretty similiar to Seekh kabaab. Chai (without milk) is hugely popular in the region. 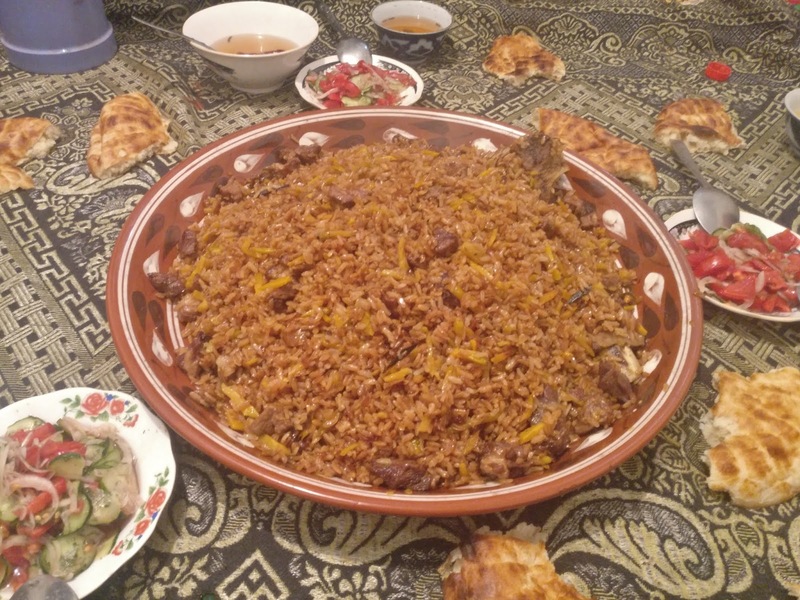 Plov is somewhat similar to Indian pulao minus the meat. Majority of Indians like to travel by train. Best and the cheapest way to explore India is via Train Network. Similarly, one can travel throughout Uzbekistan via Train Network. Cheap, Convenient and Classy. I love train travel and I hate driving. The comfort and the peace of mind that comes with train travel without any traffic and commotion appeals me to no end. Visa: Thanks to recently launched evisa facility, Citizens of 51 countries(India is one of them) can easily obtained an evisa by applying online. I received my evisa via email on the 3rd working day from the applying date. Pretty smooth process. Also, Citizens of 101 countries can avail 5 days transit visa free visit. 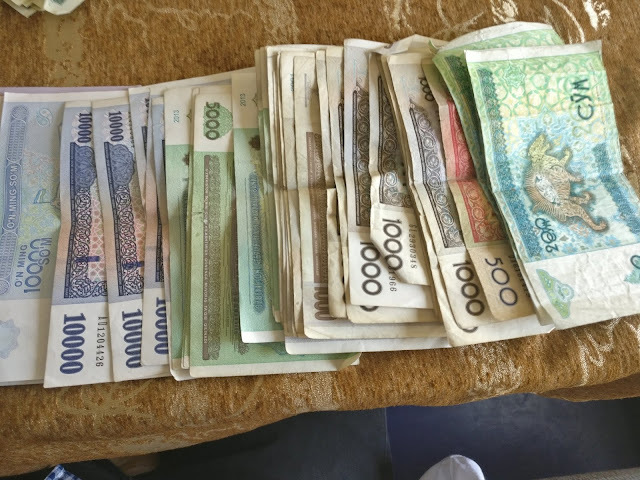 Budget Friendly: During my visit, 1 USD was equals to 7900 Uzbek Som. For better understanding of Indians, 10000 Uzbek som equals to Approx INR 90-100 but be informed that no one accept INR in Uzbekistan for money exchange. So, best thing to do is to convert INR into USD. I would say Uzbekistan is even cheaper than India (If you compare it with Indian Metro cities). 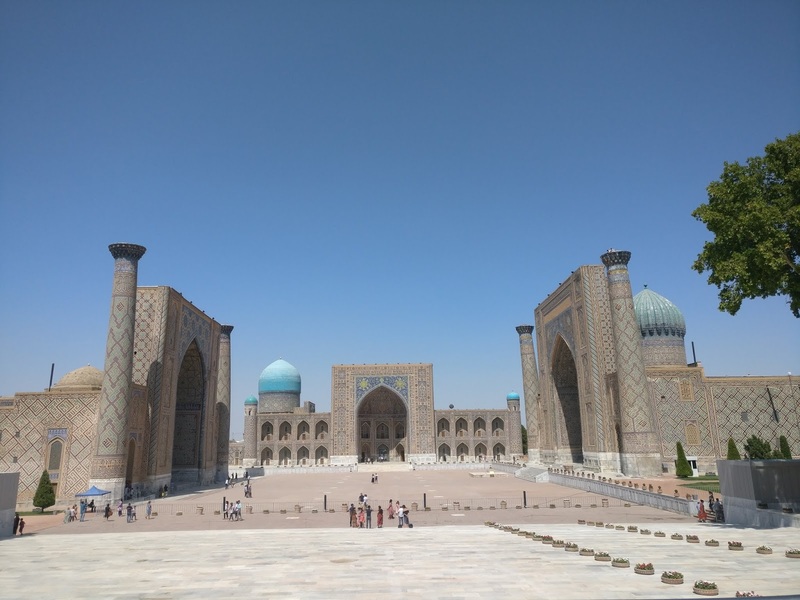 The places I visited in Uzbekistan: Tashkent, Chimgan, Charvak Lake, Samarkand, Bukhara, Kokand, Margilan, Andijan. I missed out on visiting Khiva, Nukus, Termez, Aral Sea. Do check them out. 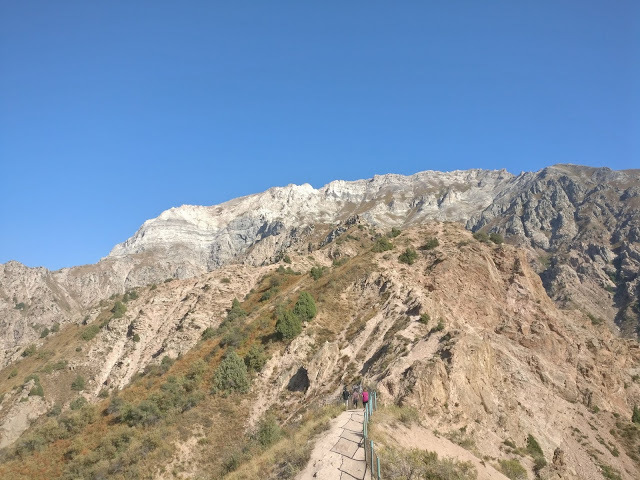 Head here for complete Travel Guide to Central Asia. Well, People are indeed friendly and welcoming in Uzbekistan. Not many Indian tourists visit the region. So, I felt the special warmth and the curiosity among locals for Indians. I still missed out on so many things like the concerned stranger who gave me his mobile number in case I need any help, curious kids took selfie with me and addressed me as Mr. India (Popular Bollywood movie), When I was invited by a stranger to his home and I happily agreed even though I knew he’s going to sell me something later, Free entry for Indians to the historical site in Bukhara, When every person in a marshrutka were simultaneously trying to answer my question, met a Uzbek girl trained in Kathak. There may not be many fancy places or things to do in Uzbekistan as compared to USA & Europe but I felt a special connection in Uzbekistan. I would rather visit a place with big heart than big buildings. For the first time ever, I’m missing some foreign land. Holy wow! This post has me itching to travel. I've never thought of going to that part of the world, but now I know I have to do it. It's beautiful. I would love to explore Uzbekistan one day! I had no idea that there were so many connections between India and Uzbekistan. Until now I had no idea who Babur was, even if I have been to the Taj Mahal. Looks fun enough! I always wanted to see Uzbekistan, my father lived there for several years as a kid due to my Grandpa's job. He always say it's a magical place. Hah! Totally relate with the immigration officers being the last people to smile! I think it's part of their training to intimidate people who don't have good intentions in their country. Have long dreamt of visiting Uzbekistan especially after I read the Alex Rutherford series on Mughals. Would love to see Samarkhand one day. And this post of yours makes me nostalgic about the place without having visited it. The Indian connection just makes my longing stronger. I have heard so much about the hospitality of Uzbekistan. Would love to visit Samarkand and Tashket one day. And Bollywood! Seriously! I would have never imagined it to be famous in Uzbekistan. Uzbekistan seems to me an underrated gem of a destination. As a Bollywood aficionado it's so great to know that the locals love the movies and treat Indian people nicely! I also didn't know about Babur being an Uzbek! 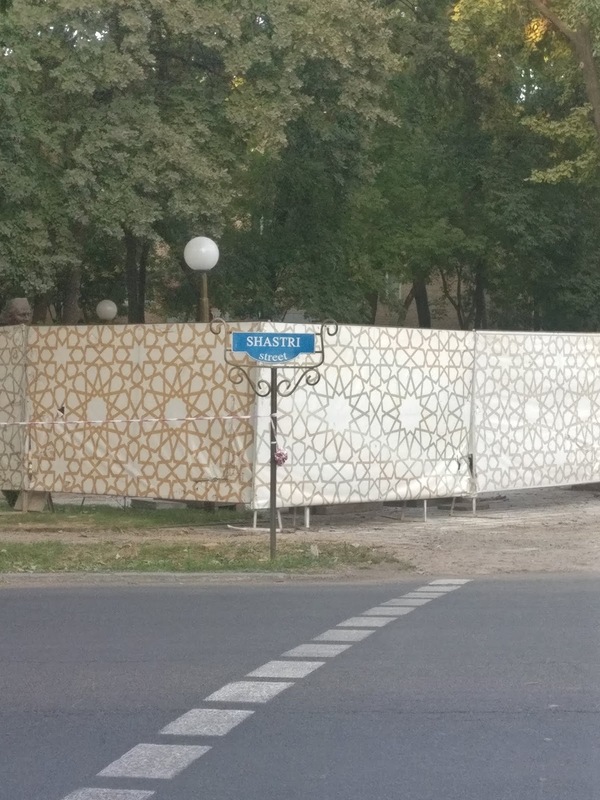 This post has brought back so many memories of my time in Uzbekistan. I agree that Uzbekistan is a great country and the people are very warm. 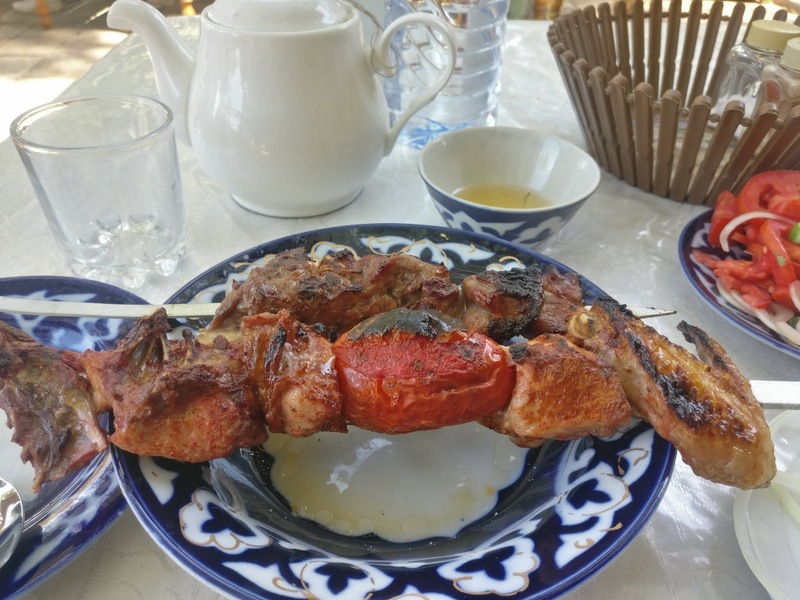 I really miss the traditional Uzbek breakfast. It is so yummy! The architecture in Uzbekistan is also amazing! Thanks for sharing your experience. Not only does Uzbekistan look so beautiful , I am also touched by the gesture by the custom officers smiling face and Namaste ! I am delighted to know Indian connections in Uzbekistan. Curious to visit and experience myself there. Wow, loved everything about this blog. You captured the vibe of the country very well. It is amazing how they have love for bollywood despite being so far far away. Wow the architecture in Uzbekistan looks so cool! And that experience with the police is so funny. Sounds like something that would happen here in China! Hi Saurabh, amazing article in Uzbekistan! Makes me want to visit ASAP. I had no idea about the Taj Mahal and Uzbekistan connection. Good to learn. Is so surprising to see how so many Asian countries and Russia follow old Hindi movie and songs! I think more and more and immigration officers are trained to 😊 but here it sounds like they do it naturally. I have Uzbekistan in my list since long. Good to know that Bollywood is quite famous here and even in Georgia people sing Jimmy JImmy and Raj Kapoor. I wonder why they were so famous in that part. Wow it is great to see our great Prime Minister – Lal Bhadur Shashtri's statue there. Your post makes for fascinating reading. Uzbekistan is a place that sounds so enigmatic. I knew that India and especially Raj Kapoor were ingrained in the psyche of the people, but I was not aware of the extent of the influence. Really heartening to read about the welcoming warmth of the people. It is my dream to go to Uzbekistan and other neighbouring nations in Central Asia. It is a very well written blog. I would love to see Babur’s statue. Even I have heard that people in Uzbekistan are obsessed with ‘Jimmy Jimmy’ song. It is so heartening to see the statue of Shri Lal Bahadur Shastri. Even I prefer train over driving. Not many say openly that they hate driving. Trust me, I hate it too. I would rather enjoy the sceneries from Bullet train of Uzbekistan than to bother driving. 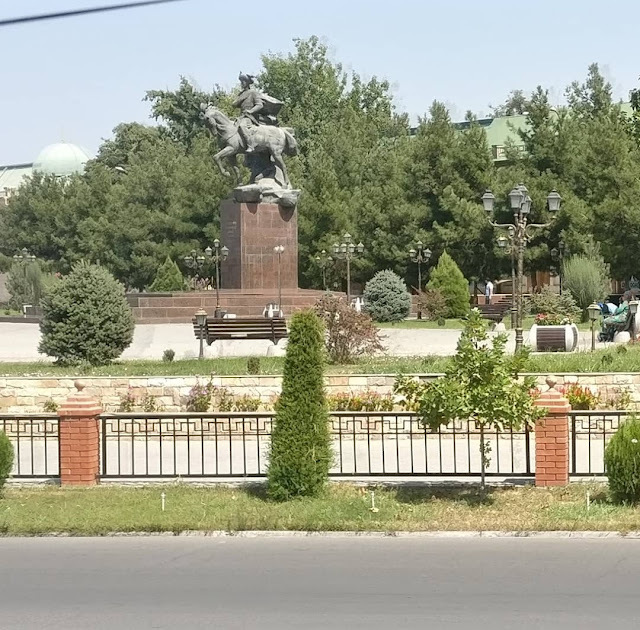 I would love to visit Fergana valley too. I had never imagined that Uzbekistan had such a great hospitality. I see it really made your visit there very memorable. Its great to also know Uzbekistan knows so much about India 🙂 Definitely a must visit.